2. 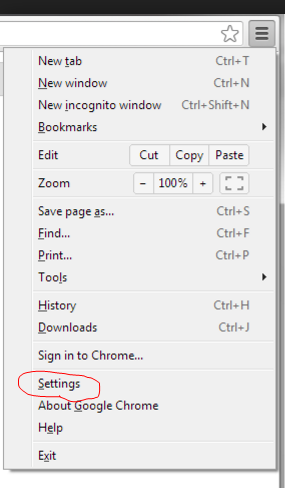 Once you are sure that you are using Chrome, locate the Customize and Control ion on the top right. It looks like three dots stacked on top of each other. 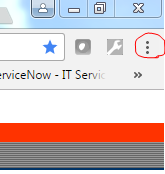 Note: some versions of chrome may have an ! mark or wrench instead of the three dots. 5. That will open the Pivacy and Security section. Click the second last box "Content Settings"
Once these settings are in place, log back into your account and click the start button. The course should now load.